I think convection will consolidate over the SW Caribbean, where lower shear and vorticity is- it might take a few days. Could get pushed west if that ridge builds in strong east of Florida. 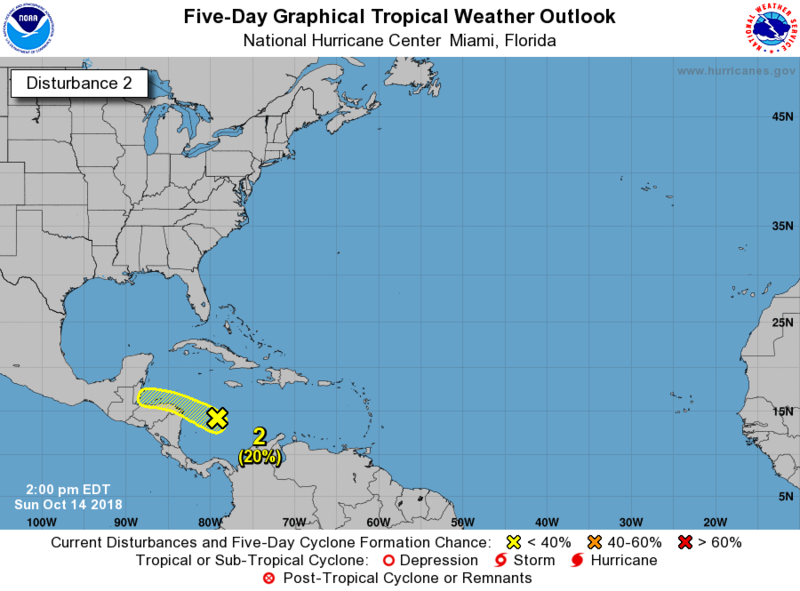 Possibly gets pushed west into Central America, but will bear some watching. GFS, surface low tomorrow, general area of Michael's genesis. GCANE wrote: GFS, surface low tomorrow, general area of Michael's genesis. I was hoping the tropics would quiet down after such a violent year, but the Caribbean is still agitated my friends. There is a definitive spin in the SW Caribbean drawing upon moisture, in a pocket of lower shear. Shear is also enhancing convection associated with what looks to be a trough further to the Northeast across the Caribbean Islands. Area looks ripe around 15N 80W. Tighter vort 850 to 700mb. 500mb vort displaced SW over Nicaragua. 250mb anticyclone over head indicating strong ascent. TPW and CAPE are both high. This area is looking more organized this morning, it might spin up before landfall in Central America.